This medical malpractice guide will help you navigate the complexity of medical malpractice in Chicago and Illinois. In 1991, a 70-year-old Chicago man who had worked with the Illinois Department of Mental Health was awarded $127,000,000 – the largest personal injury and medical malpractice suit in Chicago and Illinois history – after his doctor injected the Upjohn Co. anti-inflammatory drug Depo-Medrol into his eye, causing him to lose his eyesight and ultimately required the removal of his eye. According to court documents, the drug, a glucocorticoid used to treat pain and swelling associated with arthritis and other joint disorders, had been approved for use in some soft tissues, but not the eye. Upjohn, however, was marketing the drug for “off-label” use to ophthalmologists, and was not only paying for studies but was helping research get published in medical journals, despite knowing since 1965 that the drug was toxic if used in the eye. This large settlement likely put drug companies on notice, but currently warnings for Depo-Medrol on the website Rx.com include “increased intraocular pressure, infection, ocular and periocular inflammation including allergic reactions, residue or slough at injection site, temporary/permanent visual impairment including blindness,” suggesting that the drug is still used in eye tissue in certain situations. Medical malpractice is one of the most difficult, complex areas of the legal system, and given the number of medical injuries that occur each year, it should be the biggest. According to the Journal of the American Medical Association, medical negligence is the third leading cause of death in the United States, led only by heart disease and cancer. As much as $3 billion is spent annually in malpractice payouts. Still, of the 200,000 patients who are estimated to die due to medical error each year in the United States, the families of only 15 percent end up filing medical malpractice claims, and of the total number of cases of medical malpractice that do end up in a courtroom, the majority – more than 80 percent – result in no settlement at all to the injured patient or surviving family members. Despite the Hippocratic oath, “first do no harm,” which physicians swear to upon graduation from med school, harm can happen. But as most lawyers will tell you if you approach them with a claim, doctors tend to stick together, so getting another physician to testify again one who injured you can be challenging at best. Still, that’s not to say that medical malpractice claims are impossible to take to court, or impossible to win. In 2011, a Chicago girl received a $32 million malpractice settlement from the University of Chicago Medical Center after hospital staff failed to diagnose a case of sepsis related to a knee injury, which led to an infection that caused her immune system to attack healthy organs, ultimately leading to the amputation of both her arms and her legs. Her fever, pain and blood work all showed signs of infection, but by the time an antibiotic was administered, it was too late to save the girl’s limbs. A timely diagnosis would have prevented the unfortunate outcome, which dramatically transformed her quality of life. If your doctor or another medical caregiver makes a mistake, the mistake alone may not be enough to be considered malpractice. Under existing laws, the proof of medical malpractice lies with the victim and his or her Chicago medical malpractice attorneys, who will need to show negligence. To do so, a case must be created using existing evidence as well as testimony from witnesses or other medical professionals. The doctor and patient must have an established relationship. The patient must have been harmed as the result of the breach of care and/or act of negligence on the part of the medical professional. The injury must be directly connected to the negligence on the part of the medical professional. 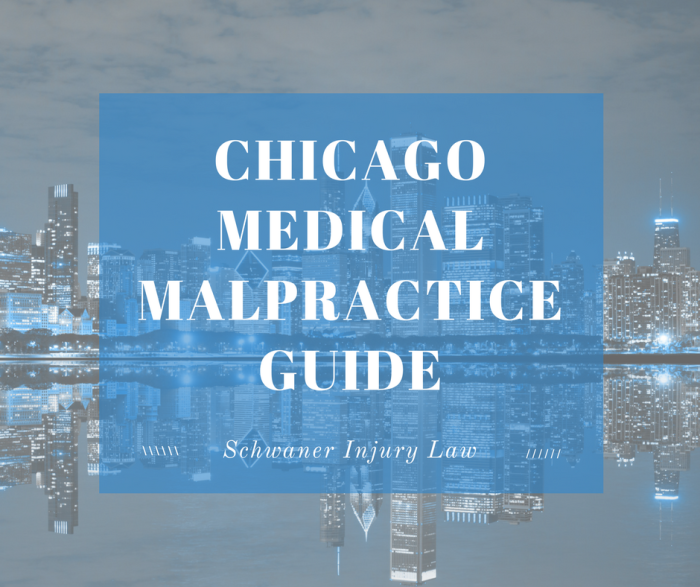 Some common areas of malpractice in Chicago include surgical errors, obstetrics and gynecology (including pregnancy, labor and misdiagnosed birth injuries), the inappropriate use of medication, as in the Upjohn case, and wrongful death. 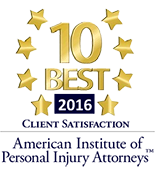 If you think you have a valid medical malpractice claim in Chicago after being injured by your doctor, it’s important to talk to an experienced medical malpractice attorney as soon as possible, especially given that your case must be filed within the two-year statute of limitations. Get copies of your medical records. Your attorney will need to know who was involved in your case such as nurses or assistants in the operating room in order to line up witnesses. Your attorney should also be ordering your medical records and bills. Get a second opinion. If you have been injured, it’s important to seek help from another doctor. Go with the intent of getting help, not an opinion on whether or not you have been the victim of malpractice. Document all injuries. When you go to the doctor, make sure you let them know the pain and suffering you are experiencing following the medical negligence you received. If it is not documented it makes it tougher to use in the case. In most cases, attorneys work on contingency, which means that legal fees will be deferred until the case is settled. There will be costs that your attorney must pay for, but those expenses will not be passed unto you until you make a recovery. If you should happen to lose your case, you will not have to pay legal fees with many personal injury firms, including our own (Schwaner Injury Law). 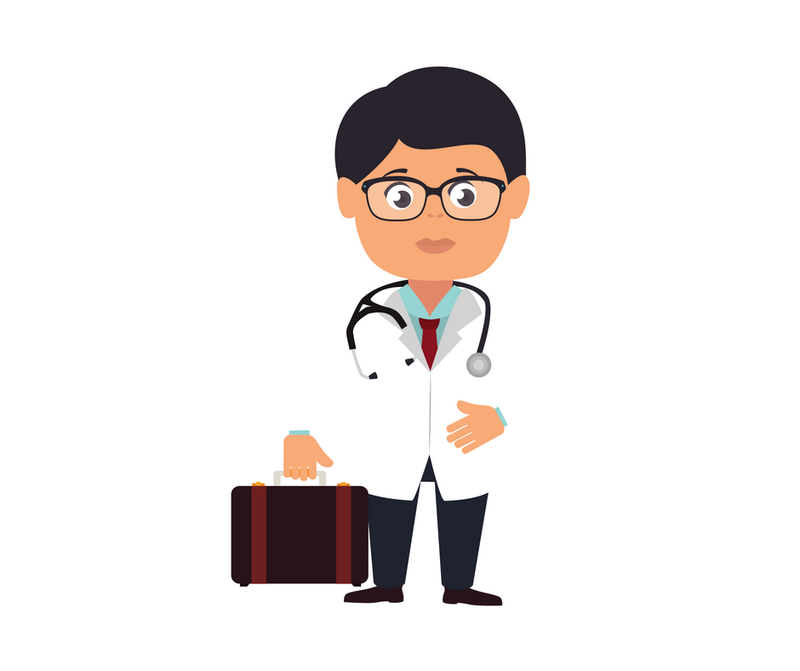 Although there are no caps on medical malpractice settlements, there are some laws in place that add an extra layer of protection for physicians. Established in 1985, the law limits attorneys’ fees, erases punitive damages (damages exceeding compensation for the plaintiff) and put in place a plan to screen malpractice suits, a move doctors say will help reduce the number of frivolous lawsuits that end up in court. Attorneys, however, say that the law unfairly targets victims of medical malpractice in Illinois. Still, a patient can be awarded general damages, which are damages that are associated with the cost of suffering. This can include loss of quality of life, loss of future earning capacity, both physical and mental pain and suffering. In addition, you can receive compensation for medical bills, lost wages from missed work and other tangible expenses. Illinois Workers Compensation Guide – What You Need To Know Chicago Bus Accident Guide – Injured In a Bus Accident In Chicago?